Phlebotomy has become an ideal option for people who want to get into the medical field, but don’t want to have to go through years of study and certification associated with most medical fields. On average, it is rare to find a phlebotomy training program that goes past 12 months. This includes training and certification. When you start doing some research you will find some programs lasting as short as 6-8 weeks while most will average 4-8 months. Factors that determine how long it will be before you become a fully trained and certified phlebotomist include the type of program your phlebotomy school offers, course content, type of certification, the state you are in and employer’s requirements. Let’s take a closer look at everything involved and how long a typical phlebotomy training program lasts. Basic training is important, and a requirement, to get certified as a phlebotomist. This training equips learners with theoretical and practical knowledge and skill they need to work in the field. Phlebotomy training is offered in several places including community colleges, dedicated phlebotomy training schools and even online schools. Each of these institutions may offer different types of programs. For instance, some offer short certification courses that may last only a few weeks. Other programs are more intensive and lead up to an Associate’s or Bachelor’s degree. Though these more intensive programs are associated with broader fields of study than simply phlebotomy. These programs can last 3-4 years. Most people however, only need to take the normal training programs that last for one to two semesters which translates to 4-8 months. The major requirement for primary phlebotomy training in most institutions is a GED or an equivalent high school diploma. You can, immediately after finishing your primary training program, start seeking a job. The exception is in the states of California, Louisiana and Nevada. In these states you need recognized certification to qualify and work as a phlebotomist. Though special certification is not legally required in the other states, you will be at a huge disadvantage if you aren’t certified. Most employers only hire professional phlebotomists who are certified. So, in addition to the length of your primary training, you also need to consider how long it will take to get your certificate. The certifying organization/body you choose will determine how long it takes to get certified. Some certifying bodies call for candidates to have on-hands experience before they take their exams while others provide their own periods of certification training. It's important to keep in mind, however, that not all certifications are created equal. So, if at all possible, be sure to seek out certification through the American Society for Clinical Pathology. It is also important to note if you need to get licensed (in addition to being certified) you may be required to take another exam which will add to your overall length of time. With the emergence of online learning, phlebotomy training has not been left behind. The training curriculum and length will vary by school. Some online schools have a strict timeline which the learner must finish the course while others allow the individual to learn at his or her own pace. Even with online training, you may still have to attend “labs” and and often times perform a minimum amount of punctures before you can successfully graduate. How Long Does Phlebotomy Training Take? 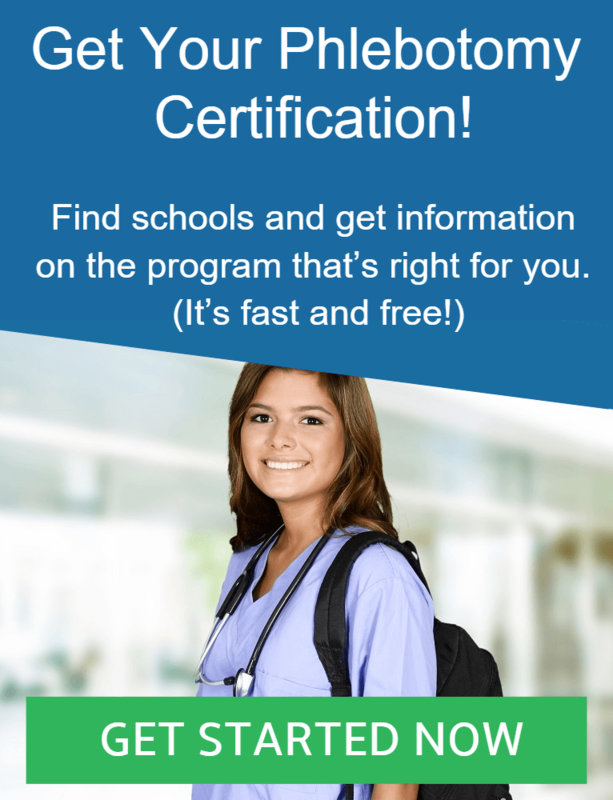 When you consider all the factors mentioned above, the longest it typically takes to formally train and get certified as a phlebotomist is 12 months. For many practicing phlebotomists, it took less than that. Only in very rare cases can it go past twelve months, for example, if you obtain a Bachelor’s degree in Medical laboratory Science or another medical related field. The most important thing is to ensure that you get all the required knowledge, experience and skills to excel in your work.